Hi everyone and Happy New Year! Today I'm over on the Sunny Studio Stamps blog sneak peeking one of the new stamp sets being released next week on the 12th! I'll be using the Purrfect Birthday stamp set to create a grid design card. 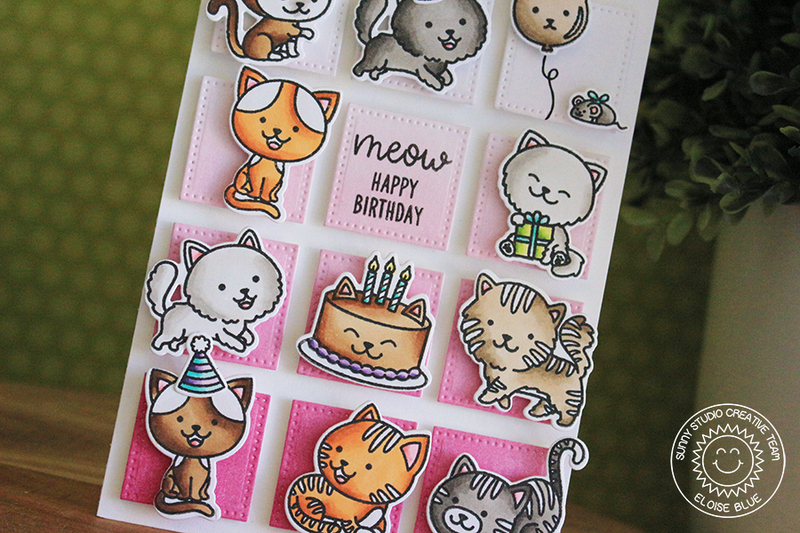 Head over to the Sunny Studio Stamps blog today to see how I made this card! Thank you so much and Happy New Year too! I can’t resist so many adorable cats ! !